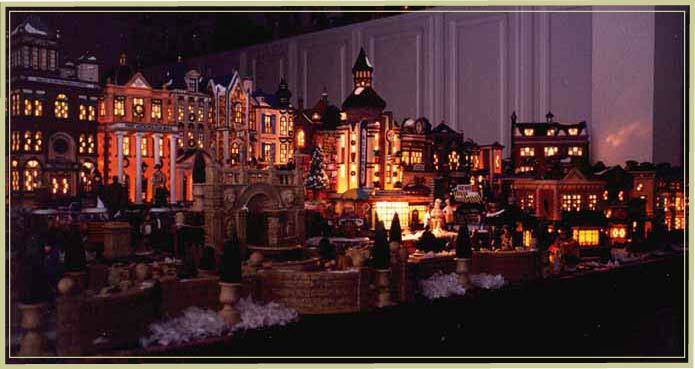 Below are some photos of Christine's 2001 Christmas Village. 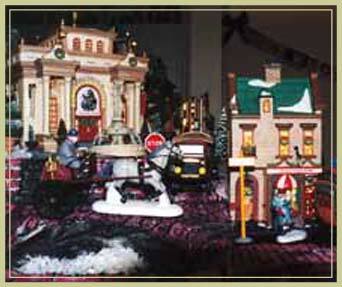 The bases are hand carved from styrofoam and painted to resemble rock, bricks, cobblestones, etc. Water features are created with melted wax. Click here to learn more about the techniques used to create this village. 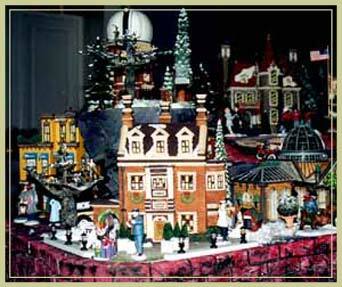 To see pictures of Christine's 2001 village, click here. Pictures of her 2002 village are here.